Bamboo socks are soooo soft - you have feel them yourself to believe how soft they are! 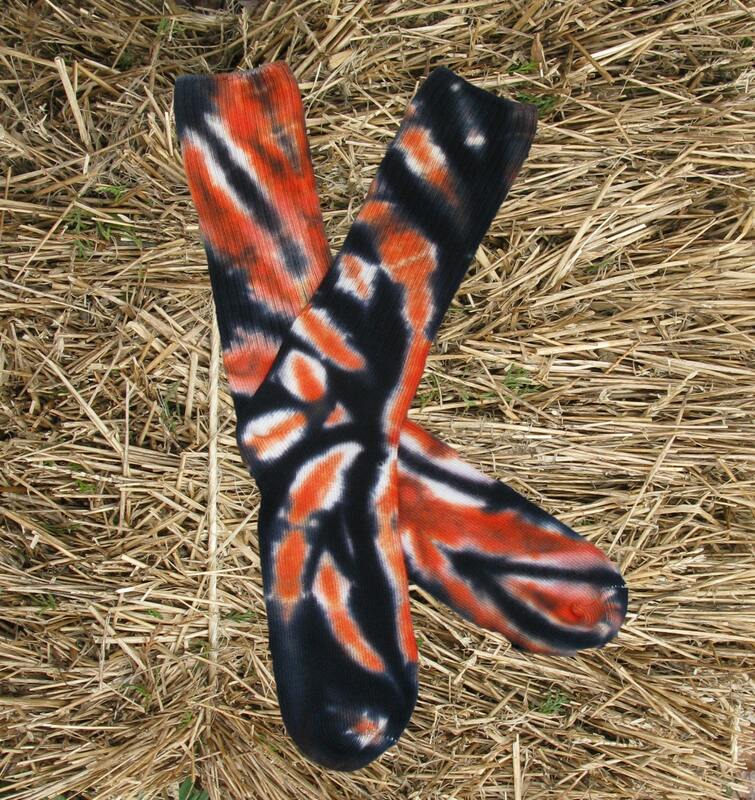 These are tie-dyed in black and orange, and you can choose either swirls or stripes. Buy a matching pair for yourself! I use professional dyes that will not run or fade. Machine washable in cold water. 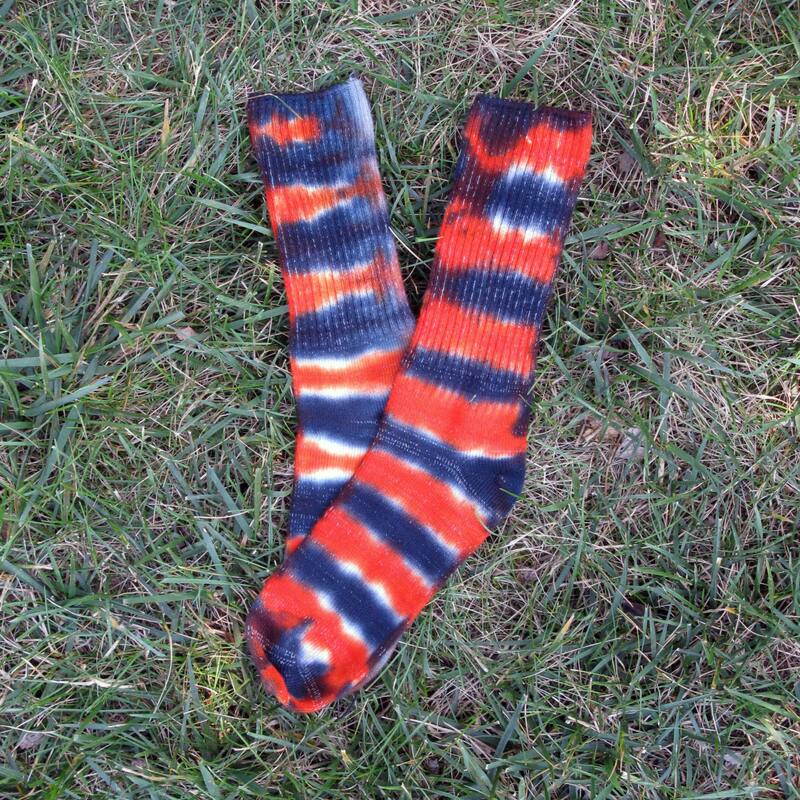 Sizes: These sock are VERY stretchy, do not be alarmed if they look small before you put them on! Kids wearing US shoe size 5 and up should buy women's or men's size.